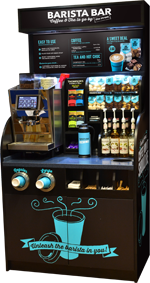 Barista Bar is the biggest coffee brand in Northern Ireland and delivers the experience of convenient, top quality coffee and hot beverages for SPAR, EUROSPAR, VIVO and VIVOXTRA customers in over 340 stores! 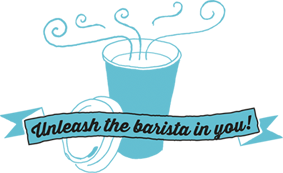 Barista Bar is passionate about delivering great tasting coffee and convenience when you’re on the go. We know that there is no room for compromise and that you are looking for great tasting quality coffee, time and time again. With a rich roast aroma, from the frothiest cappuccinos to the smoothest americanos, Barista Bar is truly Coffee How it Should Be! Selecting the ultimate coffee bean to deliver great taste took months of planning and research. Exclusive to Barista Bar, our hero bean is a unique blend of four beans sourced from Peru, Sumatra, Colombia and Vietnam; providing a truly authentic coffee blend which delivers on flavour and provides consistency over the whole season. Available in two cup sizes, you can also select from a range of syrups and seasonal flavours for free! If you are feeling peckish. You can also pick up a Barista Bar treat to snack on the move. Finding the right bean means nothing without the right coffee machine! Working in partnership with United Coffee Company (UCC), we use state of the art technology to deliver consistent quality and ease of use - resulting in a barista style coffee every time! Register now to receive a FREE drink with your next purchase! 3. Free drink on your birthday! Want to hear about news & offers? I understand that by ticking any of the boxes below I am consenting to Barista Bar using my information to contact me with promotions, special offers, news, events, competitions and other updates.